Did the sailors of the Kronstadt Uprising (1921) have a flag or banner they used or fought under. This book cover with an image showing an unidentifiable flag. Sources said about red flags of rebellion. 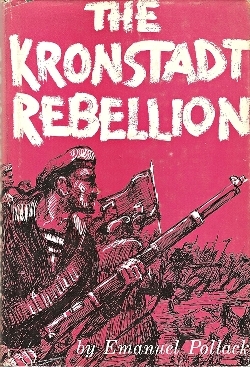 Leaders of Kronstadt Rebellion call themselves "third revolution". They supported Soviets (but without communists).